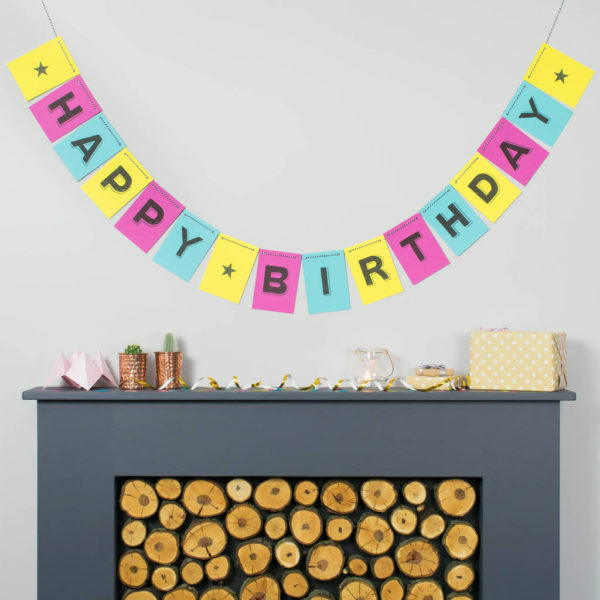 Personalised bright bunting, this fabulous muti-coloured (or single colour) bright bunting. Something to celebrate? Say it in your own words. Personalised bright bunting, this personalised bunting is perfect for special occasions. 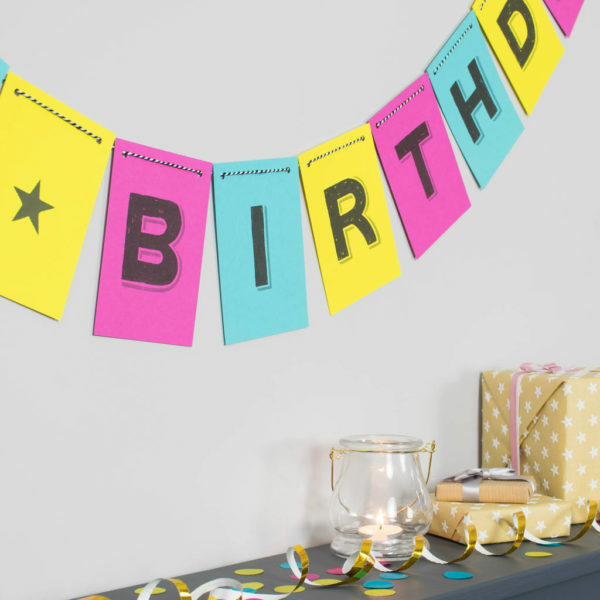 Whatever the occasion this bunting fits the bill because it can say whatever you want it to say. All you have to do is tell us what you want it to say and leave the rest to us. Printed fantastic bright card, in 3 colours, sure to brighten any party and special occasion. Choose one colour or all 3! The bunting is supplied ready to hang. Ready to party! Supplied with 5 metres of black and white cotton bakers twine. Can be personalised with your own message. Other colours and styles available in our shop.